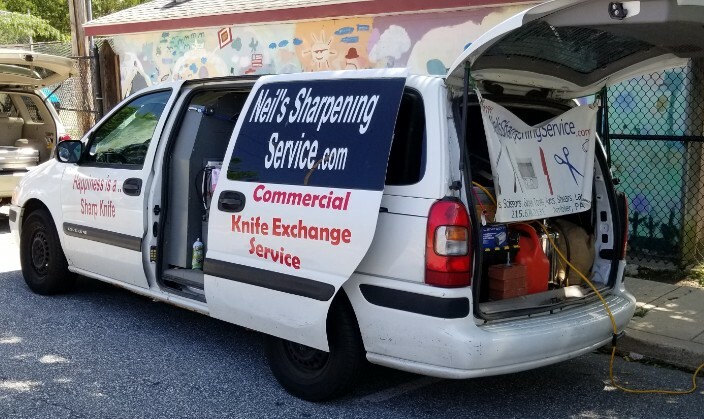 This week is the last time Neil’s Sharpening Service will be at the Market! So plan ahead and bring those carving knives to be sharpened – your jack-o-lantern and Thanksgiving turkey will thank you! Neil sharpens kitchen knives, garden tools, clipper blades, scissors, lawnmower blades, and more! Bring them all and have them sharpened while you shop the rest of the Market! 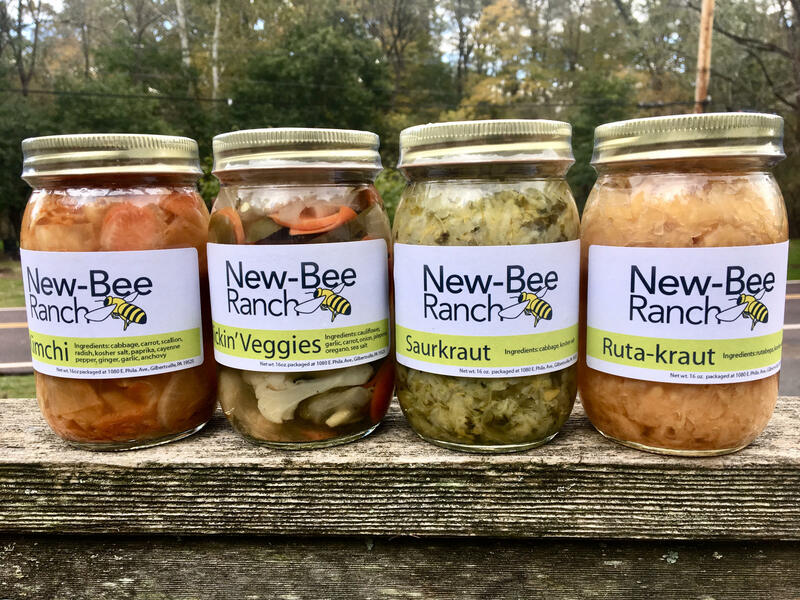 New-Bee Ranch will be back this week and not only will they be bringing their usual local honey, they have some new products this week! Check out their fermented foods and apple butter! 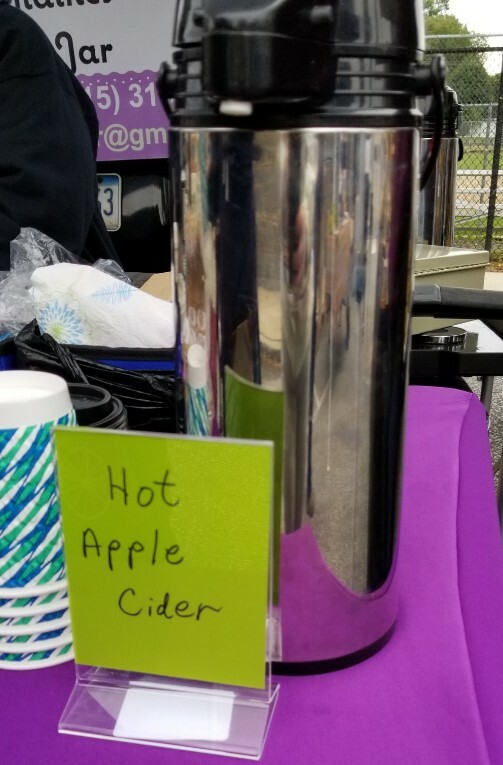 It’s supposed to be be pretty dreary over the first half of the weekend, so warm up on Sunday with some hot apple cider from Charmaine’s Cookie Jar! It goes perfectly with her yummy cookies or other ba ked goods. And don’t forget, she has gluten free options as well! Did you know that Media is a Fair Trade Town? Did you know that we have multiple Fair Trade Schools in town, including MPFS? If you have no idea what Fair Trade is or what it means to be a Fair Trade entity, then stop by their table at the Market this week. 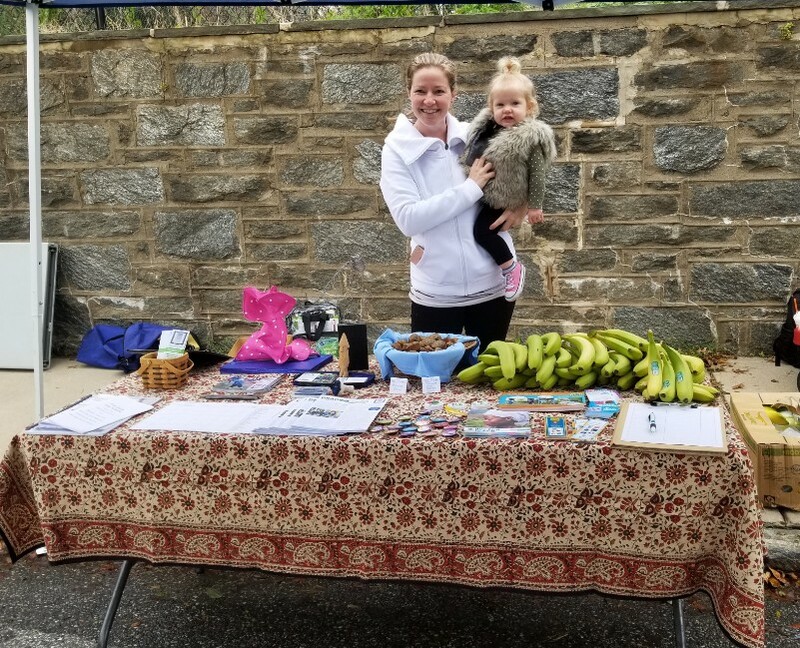 The Media Fair Trade Committee will be there to answer all your questions and why you should “Buy Local, Buy Fair,” and MPFS will be there to talk about their school and how they incorporate Fair Trade into their curriculum. There will also be yummy Fair Trade Halloween treats for all the goblins and ghouls! Please note that the rain date is in effect for this weekend’s Halloween Parade. The Parade will be held on Sunday, Oct 28 beginning at 1pm. 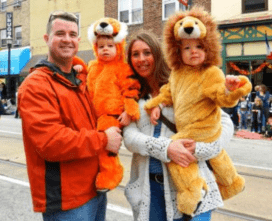 Please plan your parking accordingly as line up for the parade is at State and Edgemont Streets, and the parade will proceed up State St. We hope you’ll shop the Market, and then stay and enjoy this annual event, now in its 54th year! Steel yourself for a new vendor at the Market! Come out to the Market this week to meet our newest vendor, M2B Art Metals! Matt Gilbert has been a professional blacksmith, metalworker, and conservator since 2007. 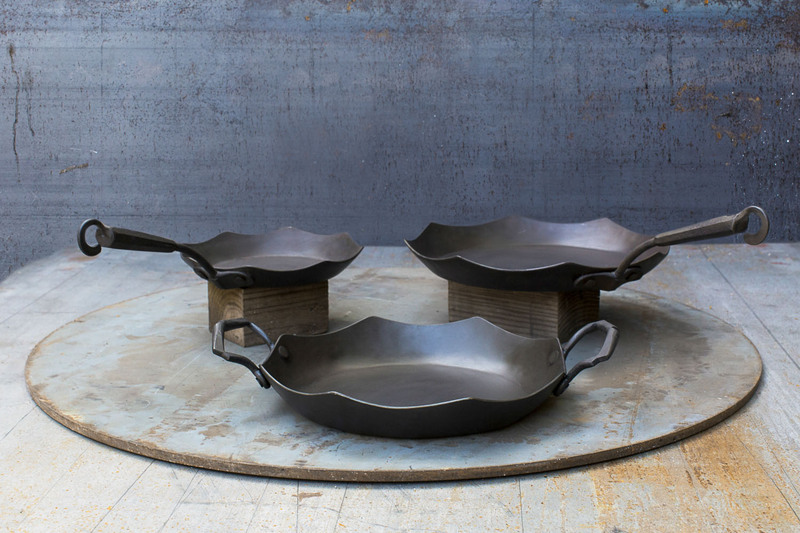 He began his metal working career with one of the foremost architectural blacksmith shops in the US, and from there his interest in metal objects has become a full blown obsession. Prior to working in the metal arts, Matt had been a professional cook and brewer. During this time, he ended up dissatisfied with commercially available cookware. So he began creating his own custom, carbon steel implements for both the kitchen and brewery. Check out Matt’s beautiful, handmade pieces that get better the more you use them! Even though the weather has suddenly turned chilly, that doesn’t mean produce is dwindling! 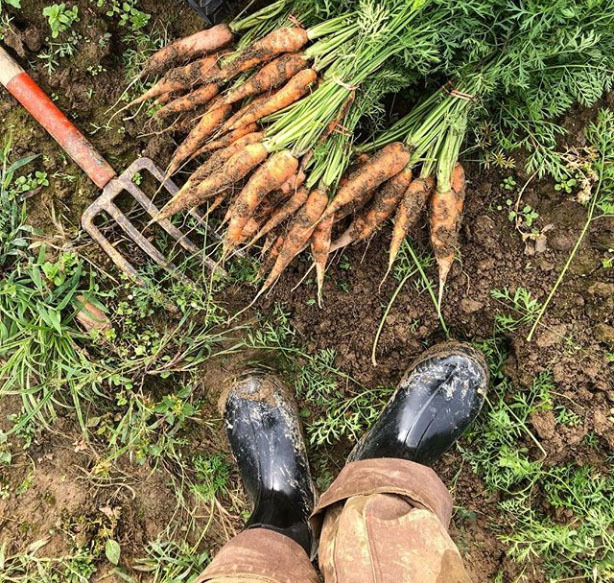 Stop by our produce vendors Kneehigh Farm, Robin Hill Organics, and Sharrah Orchards for all your needs: winter squash, potatoes, carrots, apples, pears, and more! Pair those rustic veggies with some hearty meat for a fabulous fall dinner. 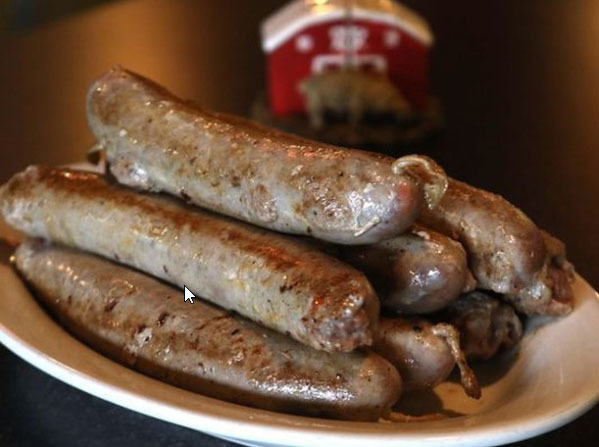 Stop by Pasture Song Farm for fresh, pastured pork and chicken, or choose a variety or two of fresh sausage from Maiale Deli. When you show off those culinary creations on your social media, don’t forget to use #mediafarmersmarket and we’ll feature you on our pages! No grain, no pain at the Market this week! If you’re looking for some tasty gluten-free treats, look no further than Charmaine’s Cookie Jar! 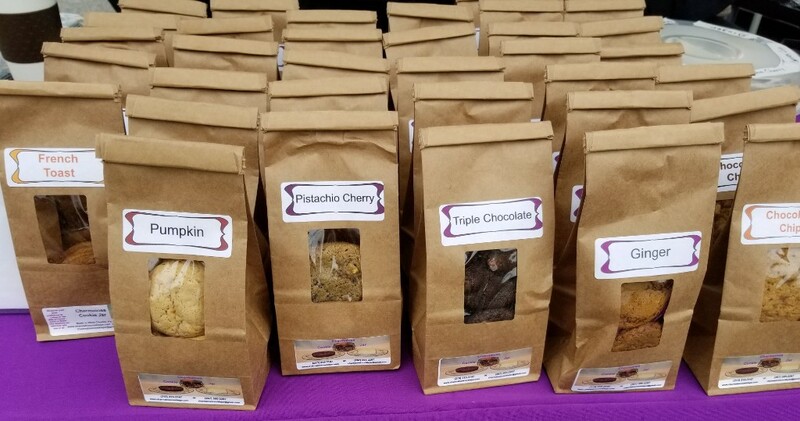 She has multiple varieties of gluten free cookies available, and they are all delicious! 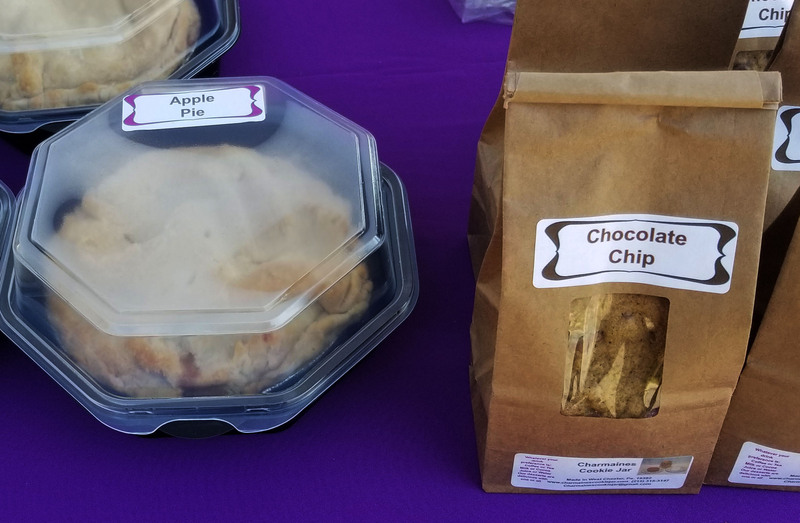 They’ll also have other sweet treats like pies and more! 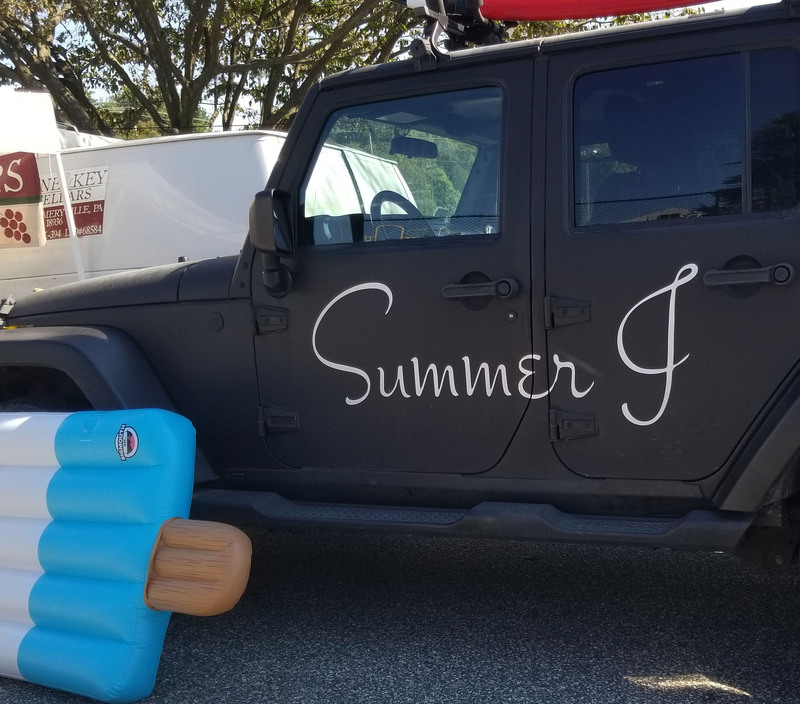 Speaking of gluten-free, have you tried Summer J Artisan Ice Pops? All of his amazing popscicles are not only gluten-free, but also vegan and use only all natural ingredients. Available in lemonade, strawberry, blueberry lemonade, and strawberry lemonade. 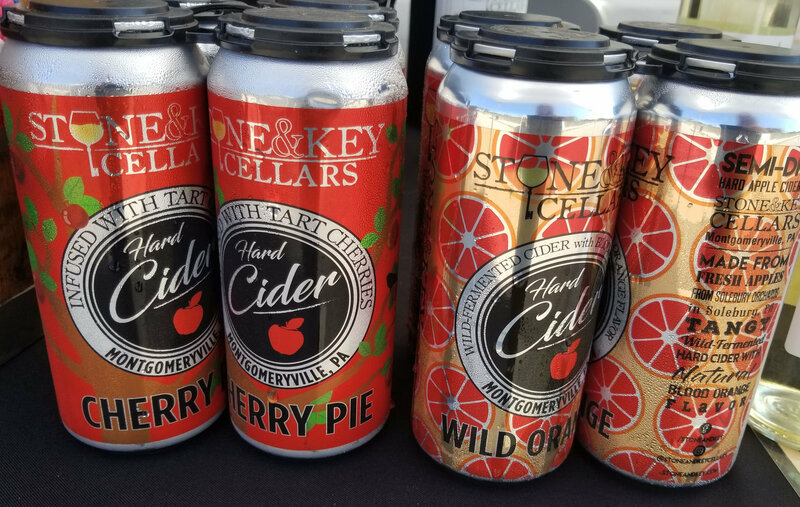 Celebrate the fall weather this weekend with some hard cider from Stone & Key! Available in different seasonal varieties, they are the perfect fall indulgence. Any cider that has not been aged in barrels are completely gluten-free, so be sure to ask which cider meets your needs! We’re All Fungi At the Market! 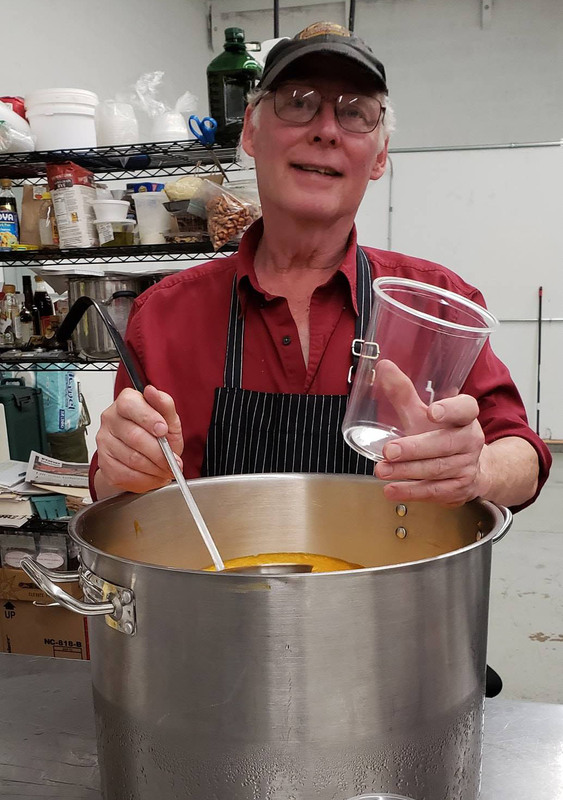 Fall is here, and Wilson’s Curiously Good Foods will be bringing their fall soups to the Market this week! Butternut Pomegranate, Split Pea Bisque, and Savory Mushroom Soup will all be making their seasonal debut! Not quite ready for fall flavors yet? This is the last week for Gazpacho – so get it while it lasts! Need more ‘shrooms? Then make sure you stop by Midnite Mushrooms and Gail’s Egg Farm. Midnite Mushrooms has many beautiful varieties of exotic mushrooms. 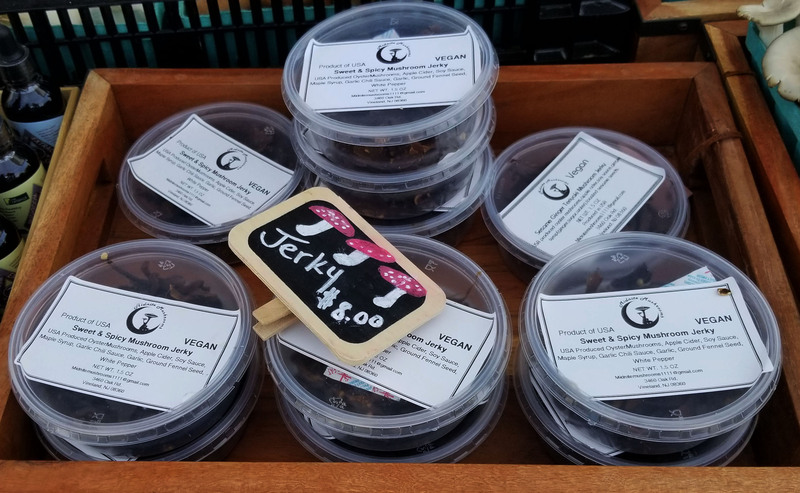 And if you haven’t tried their mushroom jerky, you really must stop! Available in Sweet & Spicy and Sesame Ginger Teriyaki, you’re sure to need to stock up on several containers. 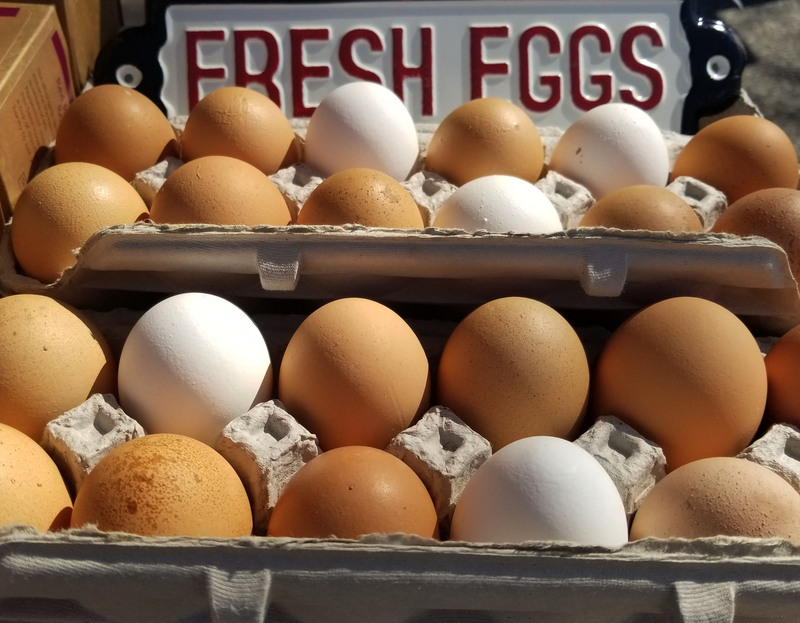 While you’re at the table, be sure to pick up your farm fresh eggs as well. Perfect for a quick breakfast on school mornings, or a great addition to lunch!